The first few videos I put up on YouTube were all about the very basics of navigating around on the command line, because it’s so important that you have these basics down. This video (and the videos that follow it) are a good introduction to the very basics: moving around the filesystem, running programs, etc. Although a theoretical approach is useful (and necessary for the basics), getting a practical experience of using all of these commands in realistic day-to-day work as a System Administrator or DevOps person is a totally different ballgame. Using your new skills for a practical project is the best way to learn quickly and effectively, and to make sure you don’t forget all of the new theoretical information you’ve just learned. At that link, you’ll find about 30 minutes of free videos that serve as a good introduction to the most important basic Linux commands, and a tour of basic shell features (available as ‘free preview’ videos — check Lecture 14 and Lecture 23 at the link above and click the Preview button). 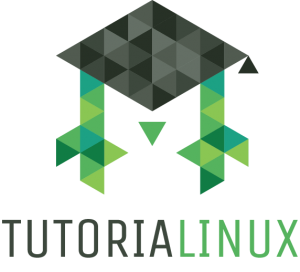 There’s a bit more to it than just learning “Linux command-line basics.” Real-life Linux and Unix work is much easier if you understand the most popular shell you’ll be working in: Bash. Bash stands for “Bourne Again SHell,” which is a play on the fact that it’s a more modern version of the original “Bourne” shell, named for its creator. For those of you interested in learning the basics of the Bourne shell environment, I’ve created a free Bash Programming course on YouTube. You can go through it in a few afternoons and have a decent handle on the basics which you’ll be using 90% of the time. I hope you’ve enjoyed this tour of the content I’ve created for learning Bash and the Linux command-line. I’ve you’ve got requests, questions, or confessions of your undying love, feel free to leave them in a comment. Support more free videos and tutorials like these by buying the WordPress Hosting for Linux Beginners course I created. Where to Get a ‘Cloud’ Server For $5/month Which Programming Language Should I Choose?